Join me on Thursday, the 31st. of January to have some Ethiopian food together. I have a reservation for 12 people ONLY!!. 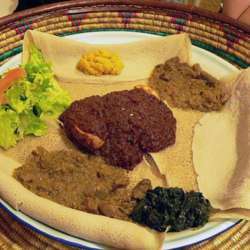 Ethiopian cuisine consists of vegetable and often spicy meat dishes. Looking forward to have you again.